Rent-to-buy plans are the ideal solution from Earn-a-Car for people who have been blacklisted and need to get mobile to get their lives back on track, or those of us that simply can’t afford the costly vehicle financing options from banks. With our demanding modern lives, we need financing to get a roof over our heads, get the kids to school and get ourselves to work. Just because traditional financial institutions have strict lending criteria is no reason why you shouldn’t be given the chance to get mobile when you need it and make the most of your life. Find a reputable car company that can offer you a good deal and great customer service. When you’re investing in a rent-to-buy vehicle, you’re investing in your future, so you want a partner who will stick by you, give you the service that you need and even give you a great credit record at the same time! Contact the company and find out what deals they offer, what the conditions are and any extra services they can offer you. If you are blacklisted, be sure to talk to a company that doesn’t require credit checks and specialises in helping people with poor credit records get back on their feet. Be sure to ask them what criteria you need to meet to qualify for their plan and what documents you need to bring along with you when you meet them. Visit the dealership to discuss exactly how the rent to buy process will work. Discuss the terms of the deal, your monthly payment amounts and when you need to deposit these. Finally, sign the papers and supply the dealership with all the necessary documentation they need to organise your lease. 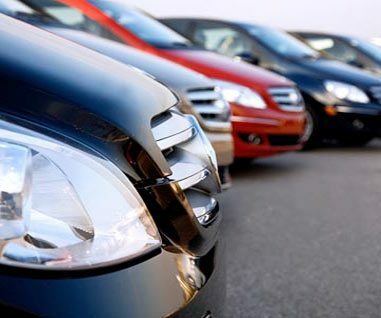 Choose the car you want and you are free to go on your way – all without the hassle of traditional vehicle financing! If you have been blacklisted or don’t qualify for costly traditional vehicle financing, don’t let it hold you back! Consider a rent-to-buy plan from Earn-a-Car and you could be driving the car of your dreams tomorrow! Contact us today!